Almost 60 students from Art & Community, Art & Identity, and Senior Portfolio/AP Studio painted pumpkins for the 2nd annual #ShutDownCancer Music Fest. The October 4 festival raised money for Cary-Grove alumnus Rick Carone, who has stage IV pancreatic cancer. 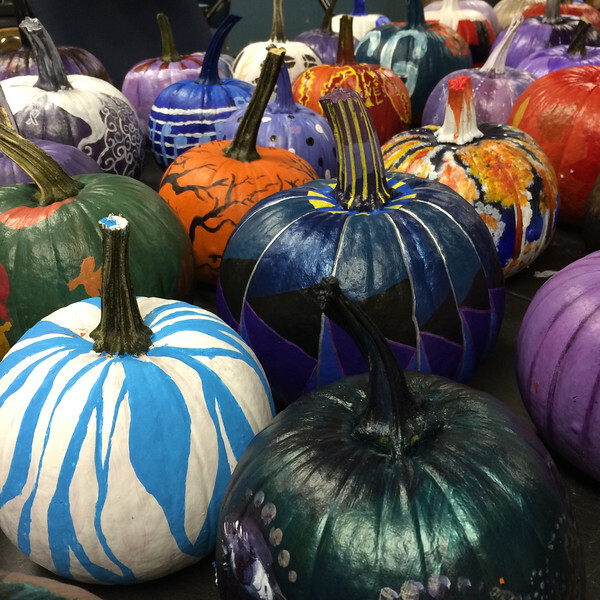 Students painted pumpkins according to themes like fall, Cary-Grove pride, and the color for pancreatic cancer research, purple. Team Carone, the local group that organizes the #ShutDownCancer Music Fest each year, used the pumpkins to decorate the event.